#1. Determine the Niche Before you do anything else, take some time to investigate the success of other audio books in your particular niche. 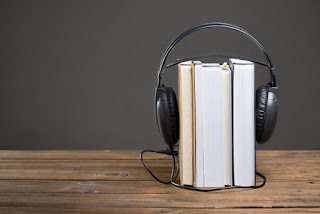 There are some types of books that perform very well as audio books – those most likely to read them are just as apt, or perhaps more so, to listen to them. Other niches will prove less than accommodating for audio books. For instance, there isn’t as large a market for children’s audio books as there is for action-adventure audio books. Know your niche and determine how successful an audio book could be within that category. #2. Define the Audience It’s not enough to define the niche. You must also understand the readers seeking books (and audiobooks) in that genre. Understanding when, where, and how they prefer to read and listen to books can really help you create a plan of action for the creation of your audiobook. #3. Know Your Budget There are costs associated with creating an audiobook. You should be perfectly aware of how much you can afford to spend on this project, so you don’t get yourself into a situation that would make it nearly impossible to turn a profit (or worse, to finish the project). And be sure to give your narrator plenty of lead time to complete the book. Considering the time needed for pre-reading, research and final editing, besides the recording itself. #4. Hire the Right Voice Over Artist Your choice of voiceover artist can really make or break the potential success of your audiobook. A voice that is deemed annoying, monotone, or uncomfortable to listen to can turn people away before they have even heard your story. However, the right voice can bring readers (listeners) back over and over again. So, look for a voiceover talent who is experienced in your niche, who will appeal to your audience, and who can provide the right ‘feel’ for your audiobook.